“The Government announced in 2015 that it seeks to end coal burning for electricity within a decade, albeit only if “ a shift to new gas can be achieved within these timescales”. It has now published its plan on how to achieve this: from October 2025, coal power stations will have to close unless their CO2 emissions are no higher than 450 kg/MWh at any time. By comparison, CO2 emissions from power stations that only burn coal are above 900 kg/ MWh. A coal phaseout is well overdue in the UK, and it is regrettable that the Government seeks to continue subsidising coal power until 2025, when, without subsidies, it might come to an end much sooner. However, there are two serious concerns about the Government’s decision even beyond 2025: firstly, power stations can continue to burn coal indefinitely, as long as they co-fire at leastn54% biomass in each unit. This is based on flawed carbon accounting for biomass, using a methodology which ignores carbon emissions from burning biomass as most of those associated with logging and which has been denounced by hundreds of scientists worldwide. Whether companies can afford to co-fire that much biomass with coal remains to be seen. subsidies for gas. They will now be in a position to tell the Government that without such subsidies, the coal phaseout cannot go ahead. 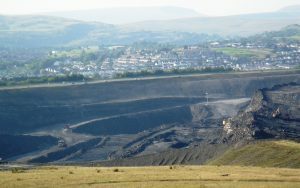 The UK needs to urgently stop burning coal, and this needs to be part of a move away from fossil fuels and other high-carbon forms of energy, especially biomass electricity. Making a coal phaseout contingent on an expansion of gas burning will play into the hands of frackers and move us further away from avoiding the worst impacts of climate change.